The Grueling Truth's Live NFL Draft Coverage W/Mike Goodpaster, Matt Minich, Joe Kelly, Anthony Cervino and More! 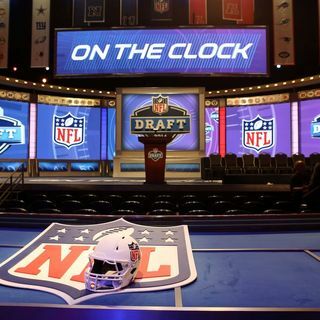 Join Mike Goodpaster, Matt Minich and the gang at the Grueling Truth for an unbiased look at the first round of the NFL draft. Special Guest Former Bengals Linebacker Joe Kelly, Matt Andruscavage , Anthony Cervino, Brian Schmidt and many more! Derwin James still waiting right? He's a reach at DT. Peppers worked out at multiple positions which hurt him.